Nope. It was socks. 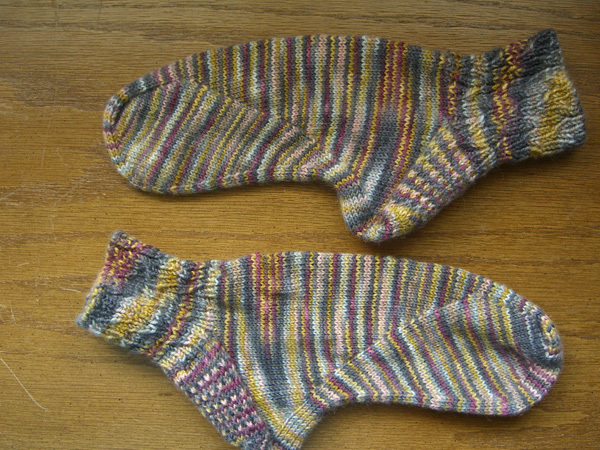 I wanted to try a toe-up version of the fitted-arch socks in Meg Swansen’s Knitting. Above are side, bottom and top views of the result. (Be sure to click on the pic to get the biggy version.) 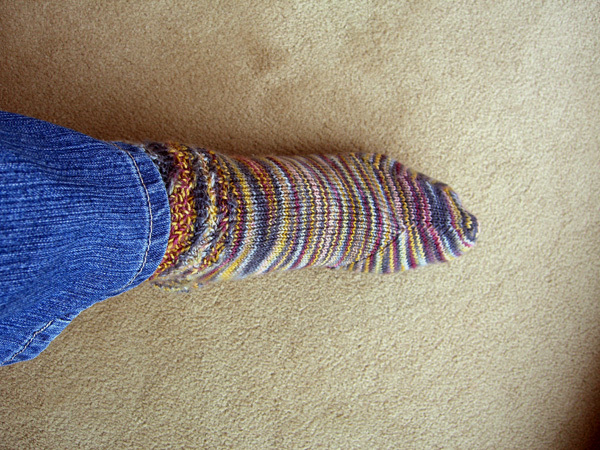 I made these anklets because my hands were too sore to knit with size US#1 needles any more I got bored knitting ribbed cables I think they look great that way. I should have started the shaping back further from the toe. That would have kept the toe from being poochy underneath. This toe looks too pointy. 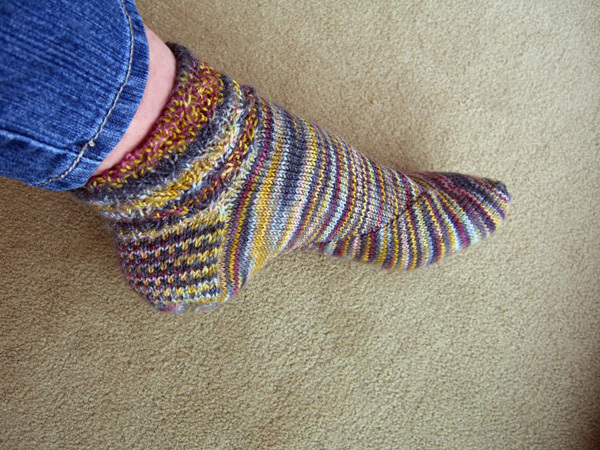 I should try a toe that has the shaping closer to the sides. 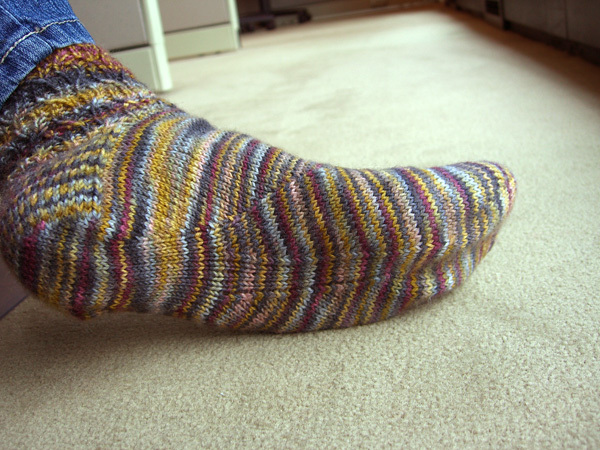 For some reason the arch shaping kept the socks from pooling. Fitter arches feel great and I need to try this again. Band heels do not appear to fit my feet well. Can you give me more information on the Rose Festival? I am a single mom living in Wyoming, my daughter is attending college in Oregon, so I will be driving through Portland in two weeks to help her move out of the dorm. I have driven through Portland once, but did not get off the interstate, so I am not familiar with the city at all, I have always thought I would like to explore Portland, but donâ€™t even know where to start. Would you mind giving me some information on the city? Here are some links that hopefully will get you started on Portland and the surrounding area. One further hint: If you come during Rose Festival, bring your umbrella. It never fails to rain.